Given the improved detection of joint injury by MRI than by clinical examination, EULAR recommendations for the use of imaging of the joints in the clinical management of RA states that MRI may be useful in monitoring disease activity. However, few data have been established that specifically address how MRI should be applied to consider the outcome of RA. We have tried to examine whether MRI is useful to predict the development of radiographic progression in patients with early-stage RA from Nagasaki University Early Arthritis Cohort. This is a sub-analysis from the 1-year observational study from seventy-six early-stage RA patients recruited consecutively from Nagasaki University Early Arthritis Cohort in which the subjects received Gd-enhanced MRI of both wrists and finger joints. All of the patients had been received DMARDs during 1 year after entry and we have selected 36 patients in which the favorable clinical response was obtained by DMARDs. The favorable clinical response was defined by decrement of DAS28 ≧ 1.2 at 3 months as well as achievement of DAS28 low disease activity or remission at 6 months. Synovitis, osteitis and bone erosion determined by Gd-enhanced MRI were scored by Rheumatoid Arthritis Magnetic Resonance Imaging score (RAMRIS). Plain radiographic progression was studied by Genant-modified Sharp score. The association of MRI findings with plain radiographic progression at 1 year was investigated. Median age, disease duration and Genant-modified Sharp score at entry from 36 patients were 55 y.o., 2.4 months and 0, respectively. Although all of the 36 patients showed the favorable clinical response, radiographic progression was found in 7 patients at 1 year. 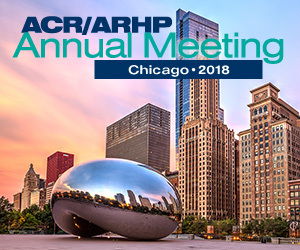 Although there were no significant differences between the patients with radiographic progression (N = 7) and those without radiographic progression (N = 29) in age, gender, disease duration, RF, ACPA, CRP, matrix metalloproteinase-3 and DAS28 at entry, the significant differences were found in the rate (100% vs 51.7%, p ＜ 0.05) and RAMRIS score of osteitis (median score 5 vs 1, p = 0.0012) at baseline, the rate (100% vs 31.0%, p = 0.001) and RAMRIS score of bone erosion (median score 3 vs 0, p = 0.004) at baseline. In addition, initial therapy with MTX was significantly less in the patients with radiographic progression as compared those without radiographic progression (14.3% vs 69.0%, p = 0.013). Multivariate logistic regression analyses, the most appropriate model is selected on the basis of Akaike’s information criteria in the SAS system®, version 9.2, have shown that MRI osteitis at entry, MRI bone erosion at entry and initial MTX therapy tended to associate with plain radiographic progression. MRI bone changes appear to predict poor radiographic outcome in patients with early-stage RA despite the favorable clinical response is achieved. Our present data indicate again the importance of MTX as initial DMARDs in early RA patients.